IATTO operates a Programme Certification System which enables accredited providers to obtain certification of their training programmes provided the programmes concerned meet IATTO’s minimum requirements for Certificate, Advanced Certificate or Diploma levels (see 3.1 below). The length of a programme and the tuition methods used are not the deciding factors. The main criterion is whether or not participants in the programme acquire the core competencies or abilities to perform effectively in the international trade field at the specified level. What are IATTO’s required competency levels? The advanced IATTO Diploma in International Trade Management level aimed at those wanting to become effective export/import managers. What competencies must an individual demonstrate at each level? IATTO recognises that no two countries, industry sectors or companies are the same when it comes to what is expected of an international trade practitioner. For example, the state of the economy and the general skills level in a country, as well as the relative development of different commercial sectors, all influence the way in which international trade-related knowledge and skills are acquired and applied. IATTO’s three competency levels therefore incorporate a number of ‘core’ or generic competencies which are considered to be the minimum international standard for a particular level of international trade proficiency. They also provide for an export and/or an import specialisation at each level. The training offered is vocational, (that is aimed at imparting specific skills) rather than academic (merely knowledge-based), and should be international in its scope. The training offered is experiential, i.e. participants are required as an integral part of their training to practise the skills that they are taught, thus bridging the so-called ‘knowledge-doing gap’. (a) demonstrate competence in all knowledge and skills areas covered in the IATTO Advanced Certificate in International Trade. (b) be able to manage an export unit efficiently and establish policies in relation to staffing, sales incentives, and preferred service providers. (b) be able to manage an import unit efficiently and establish policies in relation to staffing, cost containment incentives, and preferred suppliers and service providers. (c) be able to report on the performance of the export unit to management. (c) be able to report on the performance of the import unit to management. (d) be able to motivate staff to perform at an optimal level. (e) be able to develop and implement an international business plan, including an environmental analysis, marketing/purchasing strategies, income and expenditure budgets, and performance targets. (f) be able to negotiate high-level international business deals, e.g. a licensing arrangement or the partial acquisition of a foreign-owned entity. (a) demonstrate competence in all knowledge and skills areas covered in the IATTO Certificate in International Trade Administration. (b) be able to conduct research on potential export markets, make market selection decisions and choose optimal buyers. (b)be able to conduct research on potential markets of supply, make market selection decisions and choose optimal suppliers. (c) be able to devise effective international marketing strategies, given a company’s business orientation, competitive position and human, physical and financial resources. (c) be able to devise effective international purchasing strategies, given a company’s business orientation, competitive position and human, physical and financial resources. (d) be able to develop criteria for selecting sales agents, and draw up an international agency agreement. 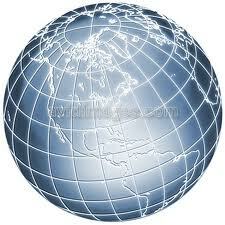 (e) be able to engage in sales negotiations with foreign business contacts, and conclude international sales contracts. (e) be able to engage in purchasing negotiations with foreign business contacts, and conclude international purchasing contracts. (a) be able to communicate in a cross-cultural environment, including (where applicable) conversing in other languages. (b) be computer literate, and be able to use modern technology for research purposes, and to communicate with colleagues and business partners both domestically and internationally using social media. (c) be able to perform the full range of tasks pertaining to the export administration function – from interpreting Incoterms® and responding to sales enquiries, to completing relevant documentation, arranging international carriage and marine/cargo insurance, and dealing with international payments. (c) be able to perform the full range of tasks pertaining to the import administration function - from interpreting Incoterms® and formulating enquiries, to completing relevant documentation, arranging international carriage and marine/cargo insurance, and dealing with international payments. (d) be able to liaise with relevant service providers to the international trade community in his/her own country. What requirements does IATTO have of individuals wishing to participate in a certified Diploma level programme ? Employed university graduates who are engaged either in the export or import activities of a company, or in the provision of a specialised international trade service, e.g. international banking, freight forwarding, product inspection, etc. These individuals would be studying on a part-time basis and immediately putting into practice what they have learnt (‘experiential’ learning). Export managers, or those aspiring to be export managers, or export specialists in the service industry, with at least five years trade-related experience, who do not have a university degree but are currently employed in the international trade field. These individuals would also be studying on a part-time basis and immediately putting into practice what they have learnt (‘experiential’ learning). Note: University students who are not yet employed but who are preparing for employment in international trade are eligible for IATTO-certified programmes at the Certificate and Advanced Certificate levels only. To gain entrance to a certified Diploma-level programme, they must be engaged in international trade practice and therefore be in a position to implement an export business plan and practise international negotiations. What requirements does IATTO have of trainers, mentors and assessors contracted to deliver training for IATTO-certified programmes ? At least 50 percent of the trainers involved in the conduct of an IATTO-certified programme must have more than 10 years experience in international business or in a specialised international business service area. Trainers conducting IATTO certified programmes must be accredited IATTO trainers. Accreditation can be applied for on behalf of the trainer by the accredited provider that is seeking certification of its programmes, or acquired independently by a trainer who trains for a variety of different training organisations. Trainees at the Diploma level with relatively little experience in the international trade field must have access to a manager/mentor/coach to assist them in the implementation of what they have learnt. Mentors should have extensive experience in international business. IATTO requires all certified programmes to incorporate formal assessment (or testing) of an individual’s level of knowledge and skills on completion of the study period. This assessment may take the form of a written test or examination, a series of practical assignments which are graded, or practical field work that is evaluated. At the Diploma level, practical assignments, such as the development of an international business plan, must be assessed by a business person with international experience. What format should IATTO-certified training and/or education programmes follow? IATTO is not prescriptive about the format of an IATTO-certified international trade training/education programme, i.e. it could be a single, in-depth course or a series of shorter modules; delivered either face-to-face or via distance learning. Whatever the format, however, experiential learning methodology (e.g. business case studies, simulations, role play) should be used where possible. An IATTO-certified international trade programme offered in a particular country must be fully compliant with the minimum standards of an IATTO level (bearing in mind that there will be national variations in the way particular topics are presented and assessed). If a programme is only partially compliant, an individual who has completed such a programme and is interested in qualifying for the international IATTO professional designation (see 4), will have to undergo further training (possibly with a different training provider) and assessment, in order to meet the required minimum standards. What are the benefits to IATTO Accredited Providers of being able to offer IATTO-certified programmes? IATTO Accredited Providers which do not focus primarily on international trade training and/or education can nevertheless assist individuals, by offering them an IATTO-certified Diploma-level programme, meet the eligibility requirements for IATTO’s global ‘World Trade Professional’ designation (see 4). 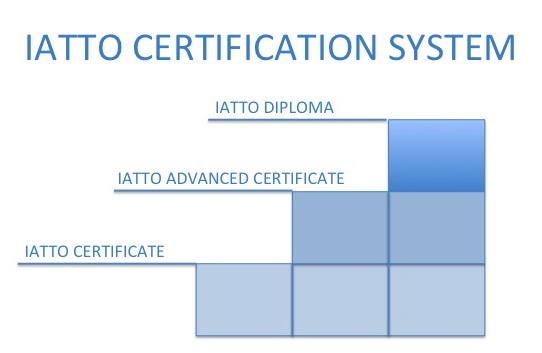 The IATTO Certification system provides IATTO Accredited Providers with a new business opportunity that has additional revenue generation potential. As the career prospects of holders of the IATTO professional designation will be enhanced, IATTO Accredited Providers conducting IATTO-certified programmes will be demonstrating to relevant training/education authorities/respective governments that they are contributing to national job creation objectives.